Dell's XPS wasn't the only thing that got an update this morning. Their highly-coveted 30-inch monitor also got some modest, yet very welcome upgrades. 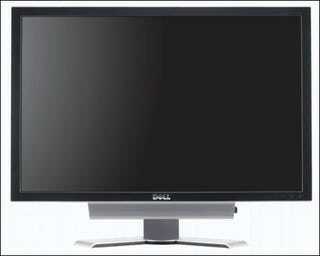 The UltraSharp 3007WFP-HC now has a 92 percent color gamut, which Dell claims will deliver brighter, crisper colors. It also has a faster 8ms grey-to-grey response time (vs 11ms on the old panel), in addition to all the features found on the original panel (like a 9-in-2 card reader and 4 USB ports). The monitor goes on sale on the 21st and will set you back $1,699, putting it right up there with HP's equally-priced LP3065. The holidays are just around the corner, so I'm hoping for some nice price wars between HP and Dell before snagging one for myself.